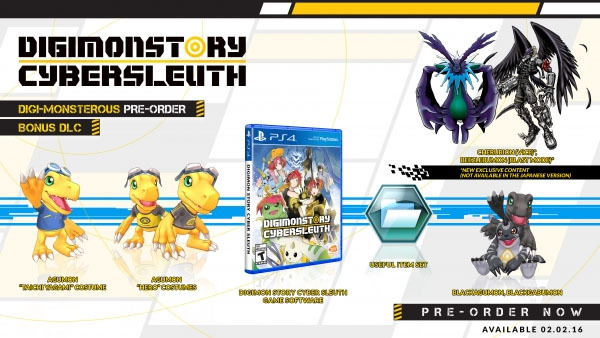 Digimon Story: Cyber Sleuth has finally been dated for a Western release, and we couldn't be more excited! It'll be available for both PlayStation 4 and PS Vita on February 2. Now's the time to preorder, because anyone who does so will receive special color variants for Agumon and Gabumon, two additional Digimon, a Tachi Yagami costume set, Agumon male and female costume set, a Useful Item set, and additional unlocks that will be made avaialble digitally via the PlayStation Store. 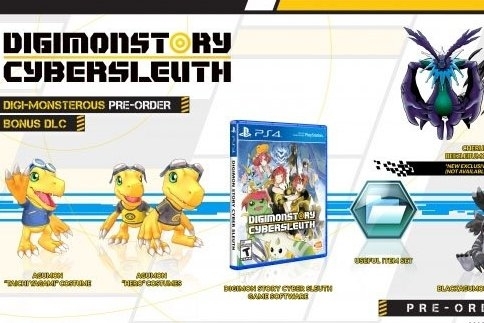 Digimon Story: Cyber Sleuth looks like it could be one of the deepest Digimon experiences yet, with over 200 Digimon included from the animated series in a special detective story that incorporates turn-based battles and Digimon raising as well. Are you ready to break into this new Digimon world? Look no further than Modojo next year when the game releases for an official review.